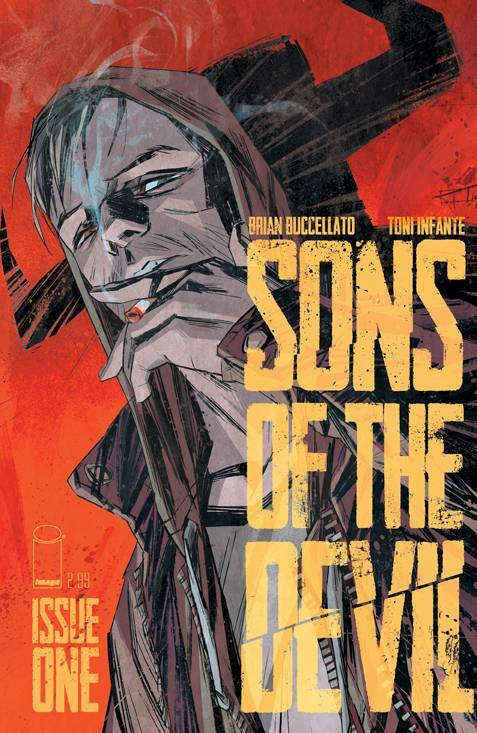 Volume One of Sons of the Devil, which collects the first five issues, tells the story of Travis Crowe, an angry, (now) unemployed, bi-colored-eyed man who seems to be at the center of some strange, supernatural plot that he could never have even begin to imagine. But, after the death of a foster brother, an unbelievable web of mysterious siblings, death, and magic begins to unravel around him. But, after a life of misfortune, Travis decides to grab hold and take control of the shadows that fill his past and that appear to be leading him into his Chosen Future. The darkest of stories are the ones more fun to fall into. Thrills that keep you on the edge of your seat, drama you simply wish to get lost in and love that seems to never break, no matter the consequence. Brian Buccellato’s (Detective Comics, The Flash) new psychological thriller brings all that to the table. Along with a few tablespoons of ritual death and destruction. And, trust me, it is worth every word. With more twists than a haunted castle, Buccellato brings ‘suspense’ to a devilish light and makes you crave more. 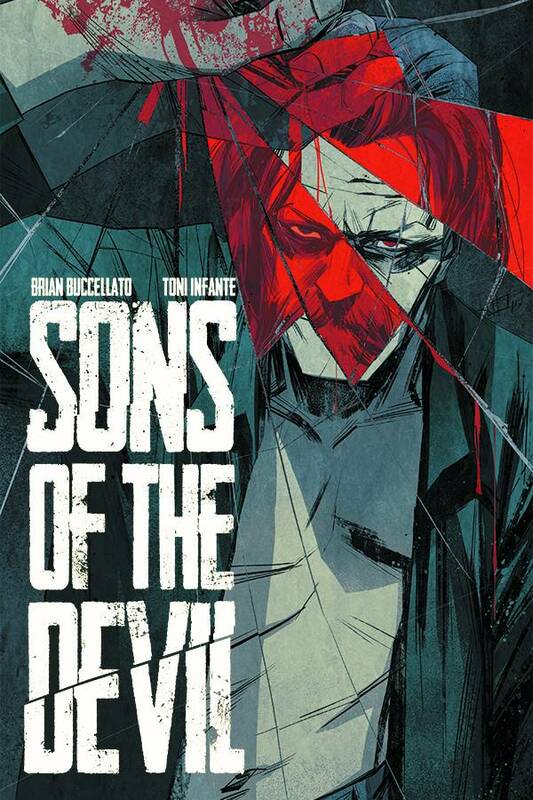 Along with Toni Infante’s jagged art style- his straight lines, large eyes, simple colors- the two create the perfect combination of terrifying yet engulfing storytelling. But, truly, the most incredible thing is the sheer simplicity of the book, with limited conversations, beautiful action panels, and colors that (literally) explode off the page. All of this equates into a well flowing story, seamlessly drifting from page to page. 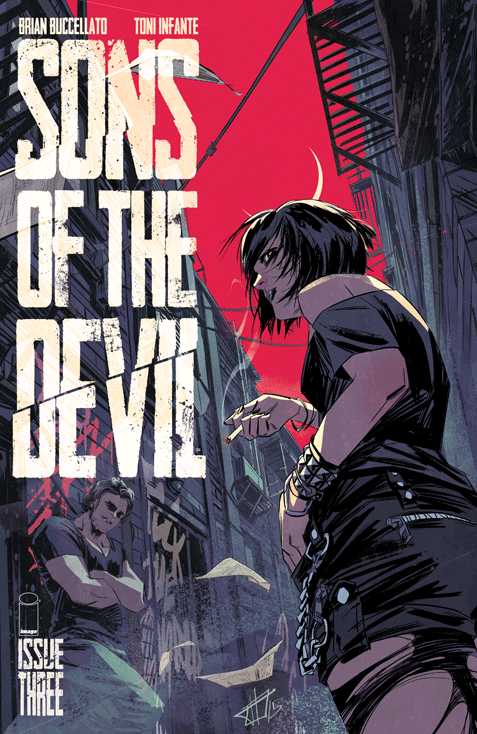 With its weird mix between the psychological suspense of Joshua Williamson’s Nailbiter and the terrifying supernatural horror of Alan Moore’s From Hell, Sons of the Devil Volume 1 is definitely worth the pickup. And, like most Image Volume 1’s, it is only $9.99 from your Local Comic Shop!